Home >> Who sells urgent care center businesses in Wisconsin? Who sells urgent care center businesses in Wisconsin? Looking to sell urgent care center Wisconsin? Just in case you ended here because you were searching for someone to sell urgent care center Wisconsin search no more. KKBA sells urgent care centers all over the country. For thirteen years we have been selling medical related businesses and we have become very good at getting these transactions done. 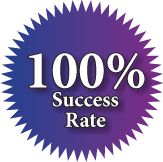 In fact, we have a 100% success rate selling these types of businesses. Why is this significant? General business brokers that sell most any kind of small business have a success rate of about 25% – 30%. Our 100% success rate is extraordinary. These folks eat, sleep and dream about selling urgent care center businesses, pharmacies, retail medical supply companies, etc. The leader of the group, Mr. Phil Blum, has completed hundreds of these deals over the years. Mr. Blum’s database of pre-screened, qualified and proven active buyers is truly the “who’s who” of medical business buyers. Frequently Mr. Blum will list a company and have it under contract within 30 days and settled within 60 days. For the past 18 months, or so, we have been in a seller’s market. The values are holding well and the inventory of good centers for sale is very low. One of the benefits of selling in a seller’s market is that as a seller, you hold some cards that you wouldn’t normally be holding. For example, in a normal market we see owner financing come into play more so than in a seller’s market. 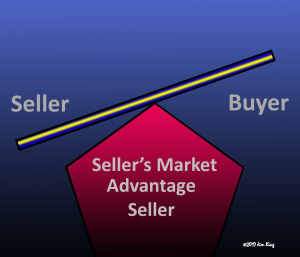 In a normal market there is more pushback on price because there are other opportunities a buyer can select if they don’t get the price they want. We make it sound easy, nothing could be further from the truth. Selling an urgent care center is not a good “do-it-yourself” project. The sale of your center is likely to be one of the biggest, most important, transactions you will ever do. My Dad used to share little tidbits of sage advice with us when we were growing up. One of the things he would say quite frequently was “You can’t beat a man at his own trade.” The education that we have obtained from completing so many of these transactions over the years is priceless. There is hardly a problem, or issue, that we have not encountered before and worked through to a successful conclusion. Another thing he used to say was “You don’t know, what you don’t know.” Having done so many of these deals with so many different buyers we are able to figure out very quickly what matters most to a specific buyer. 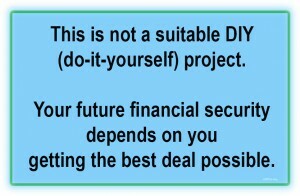 We then leverage that information to get the highest price and the best terms for you. You owe it to yourself to make sure you get the very best price and terms possible because there are no “do-overs” in business sales. Never forget, WE REPRESENT YOU, and YOUR BEST INTERESTS are paramount to us. We are your clear choice to sell urgent care center Wisconsin. If you are ready to chat about selling, give us a call at 888-565-6468. We keep all information confidential and there is no obligation from just calling to talk.